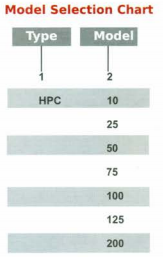 • Industrial applications where ultra-dry air or very low dewpoint (-40°F pressure dew point) is required. • Installations where downstream air systems are exposed to ambient temperatures down to -40°F (-40°C). • Pneumatic instrumentation and controls . • Paint spraying, plastic and epoxy coatings, powder coating. • Engineering and scientific laboratories . • Controller " transmitters, valve positioners, operator, air bearings and air motors . • Audio-Video cassette rewinding machines/ CD Plants . • Food Packing! Processing I Pharmaceuticals I Tablet Packing. • Wide range of sizes 10 suit your requirement 10, 25, 50, 75, 100, 200 SQ'M and many more. 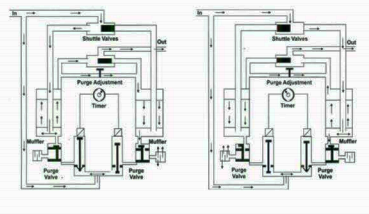 • Calibrated needle valve to adjust purge flow to actual outlet f1(1W and pressure conditions . • Overlapping cycle time to provide constant downstream pressure and dew point. • Normally open bottle valves allow constant air flow through dryer even in electricity failure . • Integral wall mounting models are available to save floor space . • Easy installation - just make the air connections and plug in the electrical power cord. - Lightweight and compact. Inlet and outlets are from top where as purging is from down . • Facilitates the water flu hing out during purging . • Trouble free and reliable performance. CFM for Heat less Type . More than 200 to 5000 CPM.